The above are the statistics from a questionnaire filled in at a Bolshevik conference in 1917. This was meant to be in columns but somehow it's compressed them. Can one of libcom administrators sort this out or tell me how to do it???? This is great information, thanks for posting it. But if you've not got time, I will go and sort it out when I get a chance this week. Cheers! I changed the 1st column from 'age in 1917' to 'name' as no ages were given. Tomsky's 'profession of father' is given as 'natural child'?? Tomsky's 'profession of father' is given as 'natural child'?? would that be a euphemism for child out of wedlock, i.e. father's occupation unknown? According to the biographical dictionary "Political Activists of Russia in 1917" (Moscow, 1993), Bubnov's father was a merchant. is there equivalent information for prominent anarchist, SR, or menshevik figures? Perhaps Bubnov was concealing his origins. "is there equivalent information for prominent anarchist, SR, or menshevik figures?" I've not seen one. You'd have to first compile a list of leading members and get their bios. But at least for the Makhnovists it was almost entirely poor peasant or worker as can be seen from the bios here on libcom. I amended Bubnov and Tomsky. 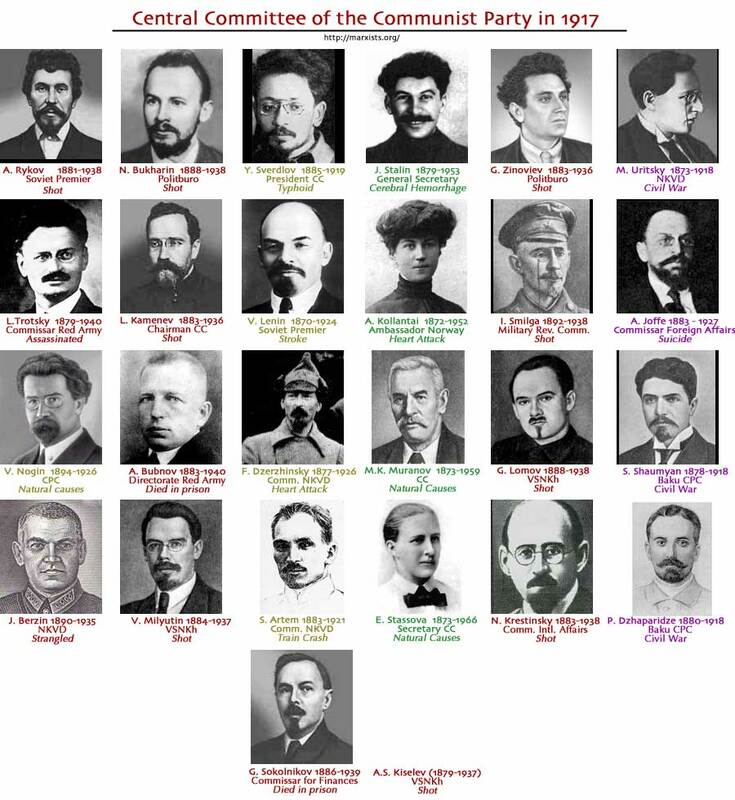 This is interesting but I'd question how accurate it is seeing as a number of mistakes have already been noted and who the father of bolsheviks were is something none of us should know. It's really nerdy. But on that, the 'profession' for Dzherzinsky's father is also wrong. It says he was 'lesser nobility' which according to wiki he was (he was part of a szlachta family), but also according to wiki his profession was as a teacher. Read again. No mistakes have previously been noted, only additional info. As the caption above says "The above are the statistics from a questionnaire filled in at a Bolshevik conference in 1917." The info is presumably as provided by Dzherzinsky himself, so if a "mistake" then it's in how he chose to answer. As for whether "This is interesting but ... who the father of bolsheviks were is something none of us should know" - it should hardly seem surprising that the class composition of Party leaderships within working class movements should be of some interest.